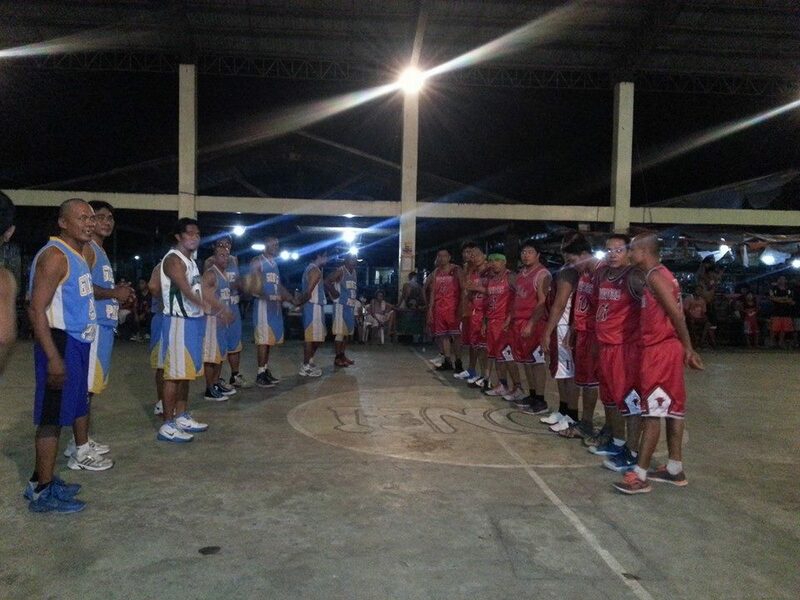 GINES PATAG WINS OVER VENDORS IN GAME 2 OF FINALS OF 1ST UBOS TINDA BASKETBALL LEAGUE 2014. TO PLAY GAME 3 TODAY, SUNDAY, AUGUST 31, 2014. OF FINALS OF 1ST UBOS TINDA BASKETBALL LEAGUE 2014. TO PLAY GAME 3 TODAY, SUNDAY, AUGUST 31, 2014. Cabatuan, Iloilo (August 31, 2014, Sunday) - The Gines Patag basketball team won over the Vendors in Game 2 of the finals of the 1st Ubos Tinda Basketball League 2014. The game was played at the Cabatuan Public Market Covered Court at 5:00 PM yesterday, August 30, 2014. The final score was 89-66 in favor of Gines Patag. Each team has now won one game, with the Vendors winning Game 1. The finals is best of 3 games. The players of the Vendors are T-oy Retotar, Anie Sayson, Bayong Sayson, Unga Defante, Bigman Monegro, Iyay Caro, Baoy Fernandez, Puswak Caballero, Miyot Talamor, Inpin Librando, Nado Montano, Magkal Portillo, Digol Begayo, Jojo Tormon, Manny Imblar, Utak Claveria, Pato Claveria, Bugok Calanda, Tagpi Lopera & Kiko Montoya. The players for Gines Patag are R Venta, M Venta, Je Venta, Apad Asensio, N Clementir, C Siason, J Blason, JL Brana, A Estante, Pe Junio, P Gepanaga, T Almonibar, B Lebrillo, Rudy Bolquerin & S Reteracion. The Vendors team is representing the Cabatuan Public Market.